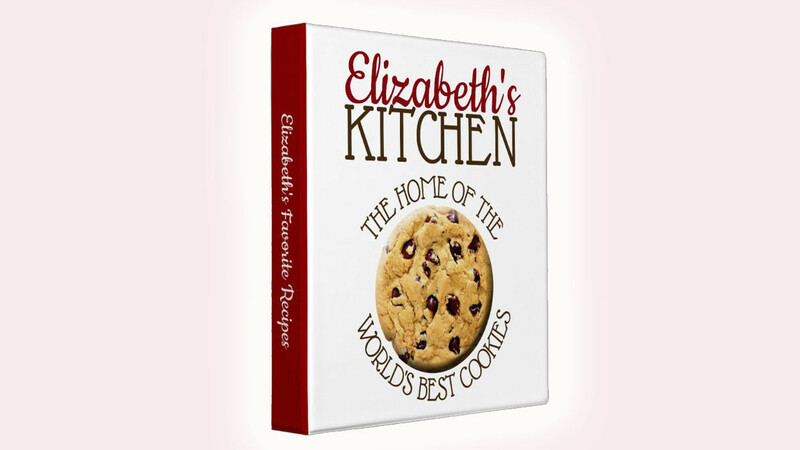 This is the perfect cookie binder for any kitchen because it can be customized with your name. Because it can be customized it is also a great idea as a gift. You can choose from a 1-inch binder, a 1.5-inch binder or a 2-inch binder depending on your preference. This is a ring binder that fits lots of pages so you will have plenty of room to store your recipes. The small 1-inch binder is designed to hold 275 pages. it is designed to hold commonly used letter sized pages so you can print your favorite cookie recipes at home.